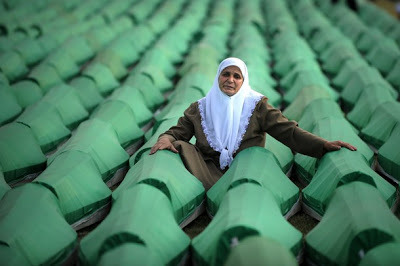 For more information, visit here: https://iwpr.net/global-voices/srebrenica-anniversary. Lord, 20 years ago Bosnian Serb forces attacked the town of Srebrenica and killed over 7,000 Muslims that were supposedly under the care of United Nations peacekeepers. You saw this travesty. You grieved over this tragedy. Lord, in some ways it seems so long ago. Yet people still grieve for many reasons. They still miss their loved ones. They desire justice. They would like the world to acknowledge their pain, rather than deny that this event happened. Lord, we pray with them about these concerns. And we pray for those legal trials that are still occurring. May truth come to light. May people be compelled to speak honestly. May those who have harbored dark secrets for decades confess. And, Lord, we pray about the 1,000+ dead who have not yet been identified. Heavenly Father, may scientists, law enforcement and anyone else involved have efficiency, resources and determination as they seek to bring closure for these families. Lord, most of all, please work in the hearts and lives of those who grieve. We live in a fallen world. We deal with tragedy every day. We do not always receive justice. We do not always find closure. Lord, we still ask for these things--justice and closure--but we also ask for your peace that passes understanding--your peace that guards hearts and minds even when it doesn't seem peace should be possible. Bless those who grieve in and around Srebrenica with this kind of peace in you. In Jesus' name we pray, amen.